Wayne Road Plaza is located in a high traffic corridor on Wayne Road just south of Cherry Hill Road. The center offers excellent signage and exposure to passing motorists. 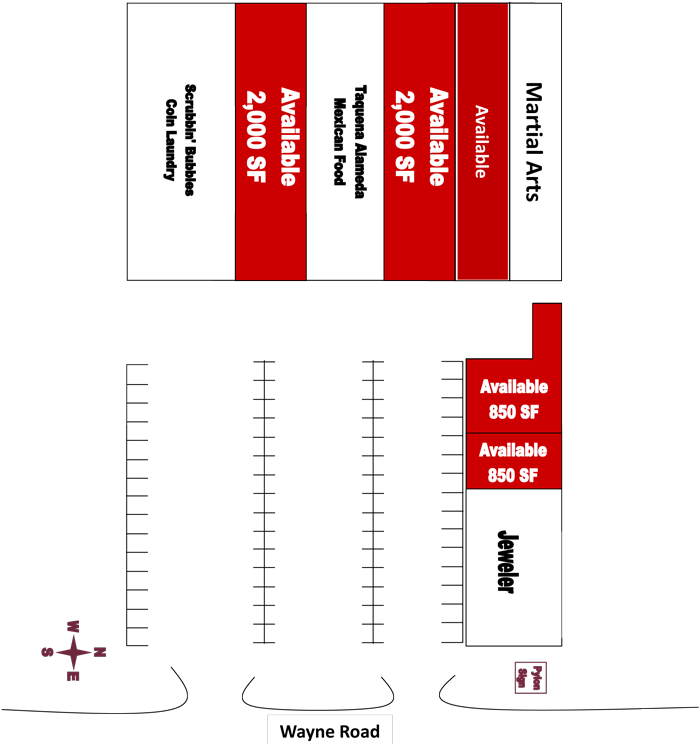 Existing tenants include a Jeweler, Mexican Restaurant, Laundromat, and Marital Arts Dojo.